With sorrow, but also with much spiritual joy and happiness, I wish to inform you by means of the present letter that I am ceasing to commemorate your name during the holy services following the Apostolic and Patristic tradition as this pertains to communion with heretics on account of the fact that you, along with many of your fellow bishops, have abandoned the Holy Tradition and strayed from the path of the Holy Fathers. Symbolically, this God-pleasing action, commended by the Holy Canons, will occur on the Sunday of Orthodoxy (March 5th, 2017) when we celebrate the restoration of the holy icons and read out the Synodikon of Orthodoxy with its anathemas against all heretics. Thus, within the context of divine worship we show that we condemn the pan-heresy of Ecumenism and reject the pseudo-council of Crete, which has recognized heresies as churches, and affirmed syncretistic and destructive Ecumenism. The black clouds of heresy have been allowed to cover and darken the blue sky of the Orthodox Faith, to divide and set at odds the Orthodox faithful, to interrupt the uninterrupted continuity and succession of the Orthodox dogmas for a nearly a hundred years. Now, however, by God’s grace and cooperation, through the prayers of the All-Holy Theotokos and of the God-instructed and God-illumined Holy Fathers, we do our part to disperse the black cloud of pan-heretical Ecumenism by our fervent Orthodox confession, just as the black cloud of Iconclasm was dispersed after having tried the Church for more than a century. Together with other priests—some of whom, being unable to bear the darkness any longer, have already come out into the light, as the monks of Olympus of Bithynia did during Iconoclasm—we have made a beginning. It is our hope that in continuation God will raise up and reveal Patriarchs and Bishops as he did in that era, bringing about a new Triumph of Orthodoxy over new, hidden, and dangerous powers of darkness. In order that the comparison with Ecumenism to Iconoclasm might not be thought unfitting, here we will only take the time to say that Ecumenism is worse than Iconoclasm in many regards. Apart from its many other serious dogmatic issues, through its connection with Protestantism it attacks the veneration of the Holy Icons and slanders and deprecates the most-honorable and unique person of the All-Holy-Theotokos, along with the rest of the Saints. 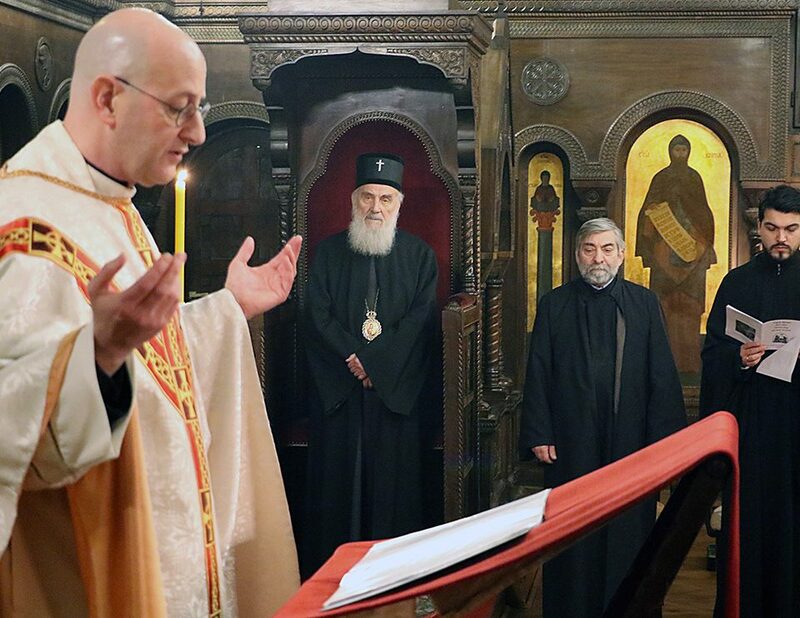 In the so-called “World Council of Churches” we co-exist and co-mingle with these iconoclasts and haters of the saints, the enemies of the Panaghia and of the Saints, and we debase the One, Holy, Catholic, and Apostolic Church, transforming it from the, “…pillar and ground of the truth,” from the Bride and Body of Christ, into something equivalent to the tiniest and most abject Protestant heresy. That the pseudo-council of Crete extols this Protestant mélange of heresies, recommends that we continue our participation in it, and recommends that we persist in degrading the Church, ought to be cause enough for us to reject it. We shall not present the anti-canonical, anti-orthodox, anti-patristic, anti-conciliar activities that have occurred and continue to occur in our relations with old and new heresies, relations which should have resulted in the defrocking and conciliar condemnation of those who have transgressed the sacred canons and traditions. For many decades now holy elders, confessors, hierachs, clergy and monastics, wise and conscientious professors, as well as a large portion of the healthy faithful—and particularly the Holy Mountain—have sought and continue to seek our withdrawal from the so-called “World Council of Churches” (or better, “of Heresies”) as well as our condemnation of the pan-heresy of Ecumenism. Praiseworthily, the churches of Bulgaria and Georgia have already done this. This subject continues to agitate the consciences of all those who recognize the depth of the ecclesiological deviation these things represent. In order to express their longstanding unease and distress, the Synaxis of Orthodox Clergy and Monastics prepared and circulated the Confession of Faith against Ecumenism in 2009. This truly historic text was signed by a great number of hierarchs, hundreds of clergy and monastics, and thousands of the faithful, and includes the following subsections: 1) We maintain, irremovably and without alteration, everything that the Councils and the Fathers have instituted; 2) We proclaim that Roman Catholicism is a womb of heresies and fallacies; 3) The same things apply to an even greater degree to Protestantism, which as the offspring of Papism has inherited many heresies, but has also added many more; 4) The only way that our communion with heretics can be restored is if they renounce their delusion and repent, so that there may be a true union and peace: a union with the Truth, and not with delusion and heresy; 5) As long as the heterodox continue to remain in their errors, we avoid communion with them, especially in common prayer; 6) Up until the beginning of the 20th century, the Church has steadfastly and immutably maintained a dismissive and condemnatory stance towards all heresies; 7) This inter-Christian syncretism has now expanded into an inter-religious syncretism, which equates all the religions with the unique knowledge of and reverence for God and a Christ-like way of life – all revealed from on high by Christ; 8) We believe and confess that salvation is possible in Christ alone. The religions of the world, but also the various heresies, lead man to perdition; 9) There are of course collective responsibilities also, and chiefly in the ecumenist mindset of our hierarchs and theologians, towards the Orthodox body of the faithful and their individual flocks. 3. Why was there such a Rush to Convene the Pseudo-Council of Crete? This anti-ecumenist and anti-heretical activity agitated those spearheading the Ecumenist cause. They witnessed the consciences of Orthodox Christians awakening and thus understood their antichristian vision—that “all might be one,” not in Truth, but in falsity and delusion—was in danger. In the face of such a throng of Orthodox faithful who were not under their control, those seated upon thrones and vested with power and authority ought to have opposed the convocation of a typical council of bishops, one which seemed legitimate from the outside, aimed at legitimizing and validating Ecumenism. And yet the Cretan pseudo-council was convened, which craftily and secretly altered the good path toward a much-needed Ecumenical Council and brought us instead to an ecumenist and heretical pseudo-council. If we are to be truthful, we must acknowledge the sudden acceleration in the preparations for the “Council” beginning in 2009, and the striking of the “Special Committee” to revise and update (but in essence to corrupt and alter) the pre-conciliar texts so that they promoted the acceptance of Ecumenism. The Cretan ‘Council’ bears no resemblance to Holy and Great Council which was being prepared and which was being awaited with expectation. Instead, it represents a corrupted, ecumenist, heretical pseudo-council. Many of us, both clergy and laity, attempted to discourage its convocation, but we were not successful. Ecumenism stood in such great need of affirmation, and those who were mixed up in it were so decided on the matter, that they did not take into account the concerns and unease expressed by those outside their circle. An example is the large conference organized by the Holy Metropolises of Piraeus, Gortyna and Megapolis, Glyphada, Kythira, and the Synaxis of Orthodox Clergy and Monastics and held in Piraeus on March 23rd, 2016, at the packed Peace and Friendship Stadium. Neither were they held back by the absence of the largest part of the Orthodox population, who were not present on account of the fact that four churches (Antioch, Russia, Bulgaria, and Georgia) did not attend, negating the Pan-Orthodox character of the ‘Council’ and thereby giving expression to the unrest and divisions that exist within the ecclesiastical body. Lacking pan-Orthodox consensus, they lacerated and divided the Church for the sake of the pan-heresy of Ecumenism. The conciliar affirmation of Ecumenism was so well-arranged that every effort of representatives of a church to correct and improve the texts was to no avail. One is astonished when he reads the Minutes—Texts of the 5th Pre-Conciliar Pan-Orthodox Consultation (Chambesy, October 10-17th, 2015) which ultimately approved the texts which would later be discussed and endorsed by the Cretan ‘Council’. By means of an unacceptable and novel Rule of Operation, some unseen directorate took care to ensure that ecumenist pre-conciliar texts were prepared and that their approval was secured. If even one representative of the ecumenist camp disagreed with any proposed amendment which touched on ecumenist dogma, that amendment would not be accepted and the ecumenist text would remain unchanged and untouched. Is this not the very thing that happened during the Cretan ‘Council’? What happed to most of the essential amendments proposed by the Hierarchy of the Church of Greece, other churches, the Holy Mountain, and isolated hierarchs? 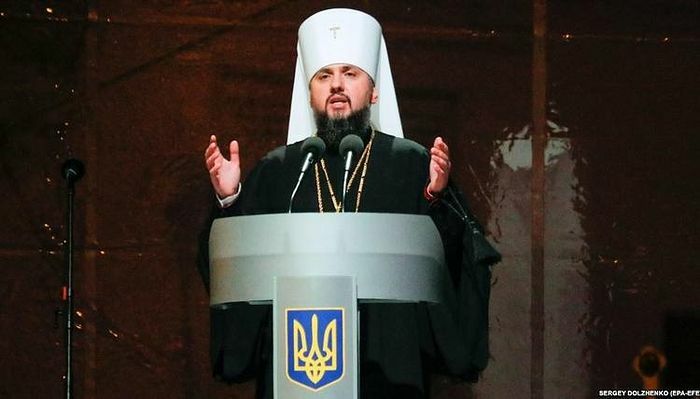 One of the Herculeses of Ecumenism disagreed, and the proposed Orthodox amendment was thrown into the wastepaper basket. In this way, previously embattled Ecumenism which was condemned by the ever-vigilant Orthodox consciousness, has acquired conciliar backing for the first time. Certainly this entirely changes the ecclesiological landscape and places a great responsibility upon us all. The situation before the ‘Council’ is not the same as after it. “Last year’s weather is not this year’s winter,” as the soldiers of 1821 said when facing the dangerous army of Dramali. By tooth and nail the supporters of the ‘Council’ try to justify the unjustifiable. Since they cannot employ theological arguments in order to hide their theological and canonical misdeeds, they insult, slander, and persecute those who resist, manifesting externally their internal confusion and bitterness. Apart from my personal writings wherein I have critiqued and rejected the ‘Council’ following its close, as a member of the Synaxis of Orthodox Clergy and Monastics I have also participated in the composition and circulation of educational texts which aim at informing the faithful of the Church who are generally unaware and uneducated with respect to these things. For this reason, immediately following the completion of the work of the ‘Council’, we circulated the text, The Council of Kolymbari, Crete, and its Aligning with Ecumenism. The title alone shows that we consider the ‘Council’ to be ecumenist and not Orthodox. A little later we circulated a more extensive text under the title, An Open Letter: Confession concerning the ‘Council’ of Crete, which was signed by thousands of clergy, monastics, and laity. It contained the following subsections: 1) The ‘Council’ destroys unity and invites division; 2) Nothing in common with the Orthodox Councils of the Church; an ecumenist council; 3) It introduces a heretical ecclesiology; 4) If the ‘Council’ is proclaimed by the Greek hierarchy: the cessation of commemoration; 5) Pan-religious Ecumenism is introduced also into the schools. Certain members of the Synaxis, by invitation of the local ecclesiastical leaders, visited the Orthodox countries of Bulgaria, Romania, Moldavia, and Georgia. These too were troubled by the ‘Council’ of Crete, and there we presented our own assessment. Indeed, in Moldavia at an organized round-table on June 29, 2016, immediately following the completion of the ‘Council’, we presented a text which I co-authored with Professor Demetrios Tselengidis and Monk Seraphim. The text was entitled, Assessment of the Decisions of the ‘Council’ of Crete, and in it we stated that the ‘Council’ disappointed the healthy members of the Church; that it was neither holy, nor great, nor a council, and that it neither resolved vital pastoral problems such as the Calendar Issue, nor did it condemn the pan-heresy of Ecumenism. Conversely, it legitimized and upheld Ecumenism, and proceeded to mix the unmixable: Orthodoxy and heresies. Furthermore, it formulated a heretical ecclesiology and shattered the abiding unity of the Faith of the Church. The reception of the ‘Council’ brought Ecumenism within the Church. For this reason, it is not possible to pass over it in silence and to hide from its decisions, but rather their conciliar condemnation is required. I underline also that the commemoration of bishops “by the church” is not without its presuppositions: it is dependant upon their holding to the Orthodox Faith and demonstrates that the one being commemorated and the one commemorating share the same faith. 5. 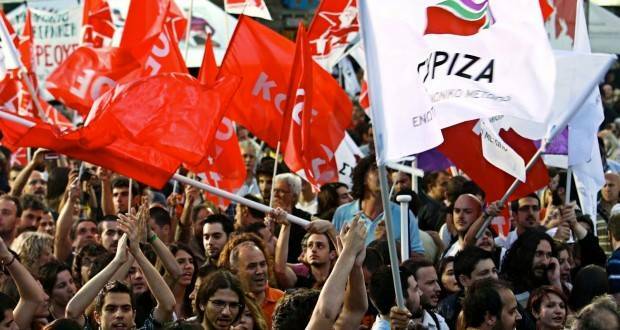 We hoped that the Church of Greece would protest, but these hopes were dashed. Another Ferreira-Florence. Today, however, those who took part in the ‘Council’ not only fail to show such contrition, but they have succeeded in convincing almost the whole of the Hierarchy not only that they should not be chastised for their philo-heretical stance at Crete, but that the unorthodox decisions taken were good and divinely-inspired. On these grounds they have asserted that there should simply be a discussion and report on the Cretan ‘Council’ at the Hierarchical Synod (November 23-24th, 2016), its acceptance being assumed and not in doubt. The apex of this anti-Patristic stance taken by the Hierarchy through the majority of its members was the Standing Holy Synod’s text, To the People, which clearly displays its positive view of the pseudo-council, destroys all hope of further postponement of the issue, along with the hopeful expectation that it will take canonical and orthodox decisions. While supposedly aimed at informing the people, it is instead a shameful and erroneous text, a monument of misinformation and deception. It dares to lie brazenly to the people, knowing that they have been left untaught and un-catechized, and that they will believe whatever their shepherds tell them to be true. One is left to wonder how everything became good and rosy all of a sudden. What magic hand touched the dubious pre-conciliar texts and rendered them Orthodox and Patristic? Did the ‘Council’ decide to address the issue of the ancient heresy of Monophysitism, or the newer heresies of Papism, Protestantism, and Ecumenism? Does the word ‘heresy’ appear anywhere in the texts? Do they apprise and critique the texts produced at the Theological Dialogues, many of which are full of heresy and delusion? Do they question our participation in the so-called World Council of Churches, or better, of heresies? Do they engage the burning issue of the Old and New Calendar which has afflicted the body of the Church since 1924? Why were four churches—Antioch, Russia, Bulgaria, and Georgia, who represent the largest portion of the Orthodox faithful—not in attendance? Is there another example of a council where only the Primates signed and not all of the bishops, where all bishops did not participate, thereby violating the fundamental ecclesiological principal that all bishops are equal? The episcopal prerogative is only asserted in relations with those who are below them in the hierarchy, but are forgotten when they interact with those equal in office. Even the Athonite committee’s text, which by all rights ought to have rejected and condemned the ‘Council’, maintains a certain dignity and conscientiousness with respect to the positions taken by ‘Council’, seeing within its decisions many negatives amid the positives. In the text, To the People, however, everything is good and rosy, nothing is negative. Concerning the aforementioned Athonite stance, which does not express the view of the whole of the Holy Mountain, we should note that everything should be positive in conciliar texts: even the smallest negative thing destroys the whole text since truth cannot possibly co-exist with falsity. Just a small drop of poison renders the whole glass of water dangerous. As the Athonite Saint Gregory Palamas says, “…in the things pertaining to God even the tiniest thing is not small.” Perhaps this is why the author, or authors, of the text, To the People, saw everything as good and rosy, but rather spoke untruths, deceived and deceiving. Here we are not able to present the theological and canonical improprieties of the pseudo-council, but simply allude to them. One may find a good, objective picture of them in the recent double-issue of Theodromia (July—December 2016) wherein we present most—though not all—of the texts which condemn the pseudo-council of Crete under four headings: 1) Texts of Churches; 2) Texts of Hierarchs; 3) Texts of Other Clergy and Monastics; 4) Texts of Laity. And now where do we find ourselves? What needs to happen? Will we leave the disease of Ecumenism to infect the body of the Church? It has already long infected a great portion of the Church’s hierarchy and academic theologians, the Ecumenical Patriarchate playing the leading role in the spread of the disease. 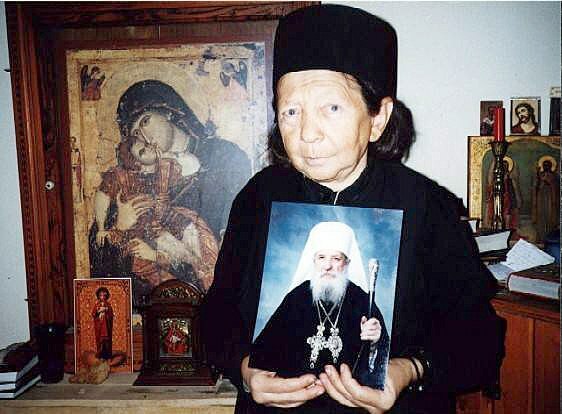 Justifiably some Athonite Fathers and hierarchs of the so-called ‘New Lands’ had ceased commemoration of Athenagoras during the years of 1969-1972, restoring commemoration in good faith in 1973 with the elevation of the modest and humble Demetrios to the [Patriarchal] throne. They were deceived, however, since he too followed in the footsteps of his predecessor. Bartholomew, the current Ecumenical Patriarch, has daringly surpassed his predecessors in heretical and anti-Orthodox actions. One shudders and becomes dizzy when he reads the Patriarch’s heretical statements, or when he sees in his canonical violations in practice—his joint-prayer and other such things. In a special text which we circulated entitled, The New Ecclesiology of the Ecumenical Patriarch Bartholomew, the Synaxis of Orthodox Clergy and Monastics has highlighted certain of his ecclesiological delusions. Apart from the executive and members of the Synaxis, this text was also signed by the eminent Metropolitans Amvrosios of Kalavryta and Aigialia, Andrew of Dryinoupolis, Hierotheos of Zichnai and Nevrokopion, Seraphim of Piraeus, Paul of Glyfada, Seraphim of Kythira, Kosmas of Aitolia and Acarnania, Ieremias of Gortynos, hundreds of clergy and monastics and thousands of Orthodox faithful. Whatever was said and done by the Patriarch and his circle represented their personal opinions, and did not have ecclesiastical ratification. It was impossible for them to present these opinions as the teaching of the Church. Now, however, with the pseudo-council of Crete, this has changed. At the highest level of authority and prestige, from atop a lofty and impressive mountain, at the conciliar level, heresies revel and boast that they are churches. The inter-Christian and inter-religious Ecumenism of Anti-Christ, the mystery of iniquity, has been enthroned in the temple of God. The conciliar decisions have been read out within the churches and distributed by the hands of bishops and priests. The Athonite monks in sketes and the kellia, seeing the silence and complicity of the official Athonite Community, have already ceased commemoration of Patriarch Bartholomew. In this they are following the firm tradition concerning how the Church confronts heresy. Their consciences do not allow them to commemorate the name of Bartholomew as Archbishop in their sacred offices and thereby to declare that they hold the same faith as him, that they agree with his heretical mindset and with the pseudo-council of Crete. Certainly, the position of the bishop in the Church is important and eminent. We all recognize and respect this fact. The ecumenists do not need to recite for us well-known texts from the Holy Fathers and the Holy Canons. The necessary presupposition for all of this, however, is that the bishop teaches Orthodoxy, that he rightly divides the word of truth, that he does not preach heresy. When he preaches heresy, we sever all relations and communion with him and do not commemorate him in the divine services. Let some unglue themselves from innovation of episcopo-centrism. The mysteries are served in the name of Christ and of the Holy Trinity, not in the name of the bishop as is asserted by the groundless and blasphemous Zizioulian ecclesiology. One is not obliged to obey a heretical bishop. There is such a thing as bad obedience and good disobedience as we showed a number of years ago by means of the Holy Scriptures and the Holy Fathers in our book of the same title. If things were otherwise, there would be no Church today because heretical Patriarchs, Bishops, and clergy throughout the ages would have enforced heresy through the convocation of heretical councils and with the help of heretical emperors. The darkness of delusion and the ignorance of God would have triumphed. Is such a triumph the desire of those who persecute, but also those who censure supposedly disobedient and stubborn clergy today? Let them carefully re-read the 31st Apostolic Canon and the 15th Canon of the First-Second Council convened under Saint Photios. And let them not invoke unrelated canons, showing their theological ignorance. The pseudo-council of Crete and those who support it clearly and openly—“bare-headed”—fall under the 15th canon of the First-Second Council. Moreover, according to this canon priests who cease from commemorating a heretical bishop are praised and honoured, not punished. The cessation of commemoration was justifiable with respect to Patriarch Bartholomew even before the ‘Council’, but much more so after since the Patriarch was the ‘Council’s’ architect and main player. The response of the Athonite Fathers in the letter they sent to Emperor Michael VIII Palaiologos, who attempted to pressure them to commemorate the pope in the Divine Liturgy after the pseudo-council of Lyons (1273), is astonishing and irrefutable. Rejecting this demand, they countered with the following: “How is it possible for us to introduce heretics into the church during the offering of the bloodless sacrifice of the Son of God upon the dread and mystical table when the Holy Scriptures tells us neither to greet heretics in the street, nor to receive them into our homes? A voice commemorating the enemy of God, the Pope, can only possibly emanate from Hell. If simply greeting heretics makes us communicants in heresy, how much more is this the case with the vocal official commemoration of one during the celebration of the divine and dread mysteries? And if Christ, who is present upon the Holy Table, is self-evident truth, how will He look upon our great lie in claiming that the pope is Orthodox along with the rest of the Orthodox patriarchs? During the dread mysteries can we really play make-believe and present the non-existent as existent, heresy as Orthodoxy? How can the Orthodox soul tolerate these things? How can he not sever communion with those who do commemorate him? How can they not look upon those who commemorate as sell-outs and as ones who trade the divine mysteries for earthly gain?” Within this context the Athonite Fathers also explain why we commemorate the name of a hierarch during the Divine Liturgy. It is not because the mystery cannot be celebrated without the commemoration of the name of the hierarch—as some erroneously think today—but as a means of manifesting their “perfect communion with one another,” that the one commemorated and the one commemorating are identical in faith. In fact, this is mentioned in Theodore of Andidon’s explanation of the Divine Liturgy wherein he says that the celebrant mentions the name of the hierarch in order to show his obedience to the one over him, that he holds the same faith as him, and that he is an heir of the divine mysteries according to succession. In the past, then, the Athonite Fathers rightly and in accordance with the Holy Canons and the Tradition of the Church, ceased commemoration of their bishop, Athenagoras, as today those Athonites in the kellia have righly ceased commemoration of Bartholomew. The three metropolitans of the ‘New Lands’, Metropolitans Amvrosios of Elevtheropolis, Avgoustinos of Florina, and Paul of Paramythia also acted correctly in 1970 when they too ceased commemoration of Athenagoras, and were neither chastized nor punished by the Holy Synod of the day for so doing. Now, however, people quake and are afraid. They do not even want to hear the words “Cessation of Commemoration” or “Walling-off”, in an age when Bartholomew has exceeded every ecclesiological boundary and introduced the pan-heresy of Ecumenism into the Church by means of the Cretan pseudo-council, just as he led the Pope and other heretics into the altar during the celebration of the Divine Mysteries. Up to this point we have been cautious with respect to the cessation of commemoration of bishops of the ‘New Lands’ who commemorate Patriarch Bartholomew at the Divine Liturgy. Under normal circumstances the commemoration of these ought to have been ceased long before the ‘Council’ of Crete, on account of what has been said and practiced “bear-headed”. We endured, however, hearing our bishops lie while standing before the Holy Altar, when asserting that the Patriarch rightly divides the word of truth in the exclamation: “Among the first be mindful, O Lord, of our Patriarch Bartholomew and of our Holy Synod, who rightly divide the word of your truth.” At least according to its second-half, this exclamation used to be true because the Holy Synod of the Church of Greece protested ecumenist overtures of the Phanar for many years, and the majority of its hierarchs were against Ecumenism even up to the time of the ever-memorable Archbishop Seraphim who, as is well-known, categorically said, “Papism is not a church.” Now, however, after the Synod of the Hierarchy of the Church of Greece and the Standing Synod’s positive assessment and reception of the pseudo-council of Crete expressed in To the People, the exclamation is now true neither of the Patriarch, nor of the Holy Synod. Neither of them rightly divide the word of Christ’s truth. For this reason, even the priests of ‘Old Greece’, where the bishops commemorate only the Holy Synod, have the canonical right to cease commemoration of their bishop on account of their priestly consciences being unable to suffer hearing lies said in the Church when, “Among the first be mindful of our Holy Synod which rightly divides the word of your truth,” is exclaimed. Much more is one justified in ceasing the commemoration of those bishops who possess heretical-ecumenist mindsets—both in ‘Old Greece’ and in the ‘New Lands’—and who teach, for example, that Papism is a church with grace, Mysteries, and Apostolic Succession. We do not reproach those bishops who are clearly Orthodox in their mindset and do not agree with the ecumenists and the pseudo-council of Crete, and yet, for what they consider serious reasons, continue to commemorate the Patriarch and the Holy Synod. However, we beseech them to consider the proliferation and prominence of Ecumenism and to perform their pastoral duty; we await their protest too, a protest praised by the Holy Apostles and Holy Fathers. Economia cannot destroy the akraiveia: it is only temporary in character. 10. The Metropolitan of Thessaloniki is a Clear Ecumenist: He falls under the purview of the 15th Canon of the 1st-2nd Council (861, under St. Photios the Great). You, too, clearly belong to the category of ecumenist bishops, Your Eminence, Metropolitan Anthimos of Thessaloniki, as I explained to you just a few days ago in the letter I sent you in answer to your “fatherly” and “admonitory” letter wherein you insisted that I stop speaking about Ecumenism and the council of Crete because I was supposedly causing confusion in consciences of the Church’s faithful. 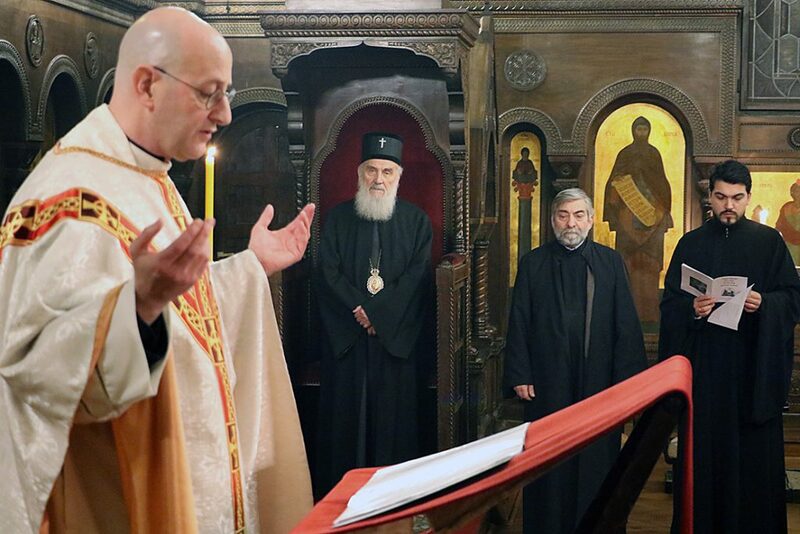 You have shown “bear-headed” your ecumenist identity through your laudatory acceptance of the pseudo-council of Crete during the assembly of the Hierarchy of the Church of Greece on the 23-24rd of November 2016, and with your directive that the exceedingly deceptive text To the People be distributed and read in the Sacred Churches of your Metropolis. Whatever attempts you and the other ecumenist bishops make to dress-up the pseudo-council, you will not succeed because it is neither holy, nor great, nor a council. The body of the Church has truly borne witness to this, and this is likewise reflected in the multitude of texts published in the last double-issue of Theodromia (June—December 2016), which we have sent to you. Since you fall into the category of those bishops preaching heresy as set forth in the 15th canon of the 1st-2nd Council of St. Photios the Great (861)—which council synopsizes the Apostolic and Patristic tradition—I am thus ceasing commemoration of your name during the sacred offices beginning today, the Sunday of Orthodoxy, in a symbolic gesture. My priestly conscience cannot bear the fact that on the day when the Church of the Holy Fathers and the Holy Councils condemns all the heresies and the iconoclasts, you recognize heresies as churches and you stand together with the iconoclast Protestants in the ‘World Council of Churches’. The commemoration of your name would indicate that I am also an ecumenist, that I hold the same faith as you, and would mean that I speak lies in the presence of the Truth, our Lord Jesus Christ, the one offering and offered upon the Holy Table, just as almost all of the bishops—of old and new Greece—officially and vocally proclaim when they say that Patriarch Bartholomew and Holy Synod rightly divide the word of truth. I, as a simple pastor and teacher, have done my duty. I pray that you as archpastor will do whatever God enlightens you to do. 2. 1 Corinthians 12:27, Ephesians 1:12, and 4-5. 3. See V. Laurent and J. Darrouzes, eds., “Ἀπολογία πατριάρχου Ἰωσὴφ πρὸς τὸν αὐτοκράτορα Μιχαὴλ Η´ Παλαιολόγον,” in Dossier Grec de l’Union de Lyon: (1273-1277), vol. 16 of Archives de l’Orient Chrétien (Paris: Institut Français d’études byzantines, 1976) 289: “Διὰ τοῦτο καὶ ἡμεῖς, ἡ τοῦ Χριστοῦ ἐκκλησία, ἣν ἑαυτῷ νύμφην ‘ἄμωμον’ καὶ ἀμίαντον ἐμνηστεύσατο, φυλάξασθε ἀπὸ τοῦ μιάσματος τούτου, παρακαλῶ, τοῦ τῶν Ἰταλῶν· μὴ προσάψωμεν ἑαυτοῖς τὸν ἐκ τούτου μιασμόν, καὶ ἀποστραφῆ ἡμᾶς ὁ τῶν ψυχῶν νυμφίος καὶ αἰωνίως καταισχυνώμεθα. ‘Μὴ δῶμεν τόπον τῷ διαβόλῳ’.” Patriarch Joseph is a saint of the Church and is commemorated on the 30th of October. 4 Synaxis of Orthodox Clergy and Monastics, Confession of Faith Against Ecumenism, July 2009. http://jordanville.org/files/Articles/A-CONFESSION-OF-FAITH.pdf. 5. See Protopresbyter Theodoros Zisis, “Μεταλλαγμένη καὶ ἀλλοιωμένη ἡ Ἁγία καὶ Μεγάλη Σύνοδος,” Theodromia 17 (2015), 3-9; ibid., “Ποιός καὶ γιατί ἄλλαξε τὸν χαρακτήρα τῆς Ἁγίας καὶ Μεγάλης Συνόδου;” Theodromia 17 (2015): 602-628. The same articles also appear in his book, Ἁγία καὶ Μεγάλη Σύνοδος: Πρέπει νὰ ἐλπίζουμε ἢ νὰ ἀνησυχοῦμε; (Thessaloniki: Τὸ Παλίμψηστον, 2016), 49-94. 6. Mahmud Dramali Pasha (1780-1822), was the leader of the Ottoman army tasked with crushing the Greek War of Independence. He was famous for gathering one of the largest armies (20,000) to enter Greece in over a hundred years; See “Mahmud Dramali Pasha,” Wikipedia, accessed March 23, 2017, https://en.wikipedia.org/wiki/Mahmud_Dramali_Pasha. 7. “Ἡ Σύνοδος τοῦ Κολυμπαρίου Κρήτης καὶ ἡ σύμπλευσή της μὲ τὸν Οἰκουμενισμό,” Theodromia 18 (2016): 474-477 (in Greek). http://thriskeftika.blogspot.ca/2016/06/blog-post_561.html. 8. “Ἀνοικτὴ Ἐπιστολὴ: Ὁμολογία γιὰ τὴν ‘Σύνοδο’ τῆς Κρήτης,” Theodromia 18 (2016): 478-487 (in Greek). https://katanixis.blogspot.ca/2016/09/blog-post_159.html. 9. Theodromia 18 (2016): 495-502 (in Greek). 11. Saint Gregory Palamas, “Περὶ τῆς ἐκπορεύσεως τοῦ Ἁγίου Πνεύματος: Λόγος Α´,” in Γρηγορίου τοῦ Παλαμᾶ, Συγγράμματα, ed. Panagiotis Chrestou (Thessaloniki: 1962), 24. 12. 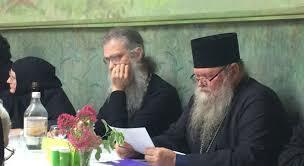 Synaxis of Orthodox Clergy and Monastics, “The New Ecclesiology of Ecumenical Patriarch Bartholomew,” Theodromia, November 19, 2014, http://orthodoxinfo.com/ecumenism/Petition-Concerning-the-New-Ecclesiology-of-Ecumenical-Patriarch-Bartholomew.pdf. In Greek, http://www.theodromia.gr/A9455A79.el.aspx. 13. 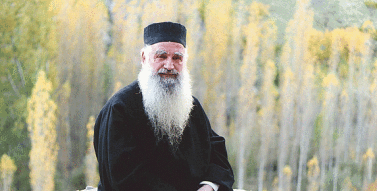 Protopresbyter Theodoros Zisis, Κακὴ ὑπακοὴ καὶ ἁγία ἀνυπακοή (Thessaloniki: 2006). 15. V. Laurent and J. Darrouzes, eds., “Ἐπιστολὴ ὁμολογητικὴ τῶν Ἁγιορειτῶν πρὸς τὸν βασιλέα Μιχαὴλ Παλαιολόγον” in Dossier Grec de l’Union de Lyon: (1273-1277), vol. 16 of Archives de l’Orient Chrétien (Paris: Institut Français d’études byzantines, 1976), 397-399.